Yi Gu has primary responsibility for measuring, managing and monitoring risk across various portfolios. 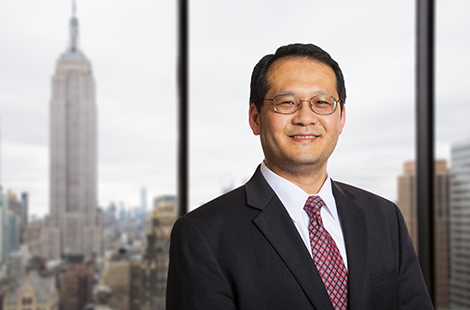 Prior to joining OHA, Mr. Gu served as Director of KKR’s Global Risk Strategies team, responsible for risk management, reporting and portfolio analytics for firm’s hedge funds and fund of funds. Prior to joining KKR, Mr. Gu spent 12 years as a senior strategist in Goldman Sachs’ Principal Strategies and Credit Derivatives Strategies Group with a focus on the development of pricing, risk management, portfolio analytics, hedging, and trading strategies for long/short and capital structure arbitrage (CSA) business. Prior to Goldman, he was a member of JPMorgan’s fixed income applications development group and was responsible for creating the analytics engine for the firm’s first credit derivatives trading system. Mr. Gu received an A.B. in Physics and Computer Science from Harvard University. He later received his M.B.A. in Finance from New York University, where he was named Stern Scholar. Mr. Gu has earned the Chartered Financial Analyst designation.